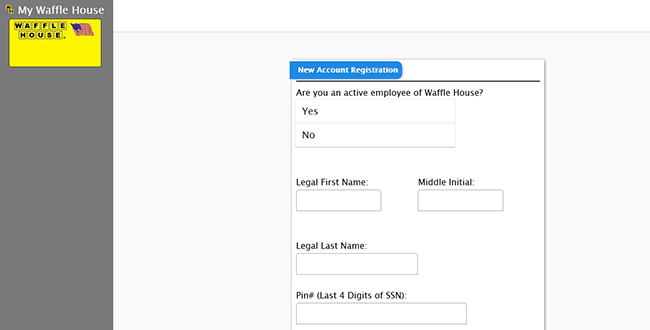 The Waffle House job application is available to be filled out and submitted on the company’s careers website. The section below details the online job search/application process. 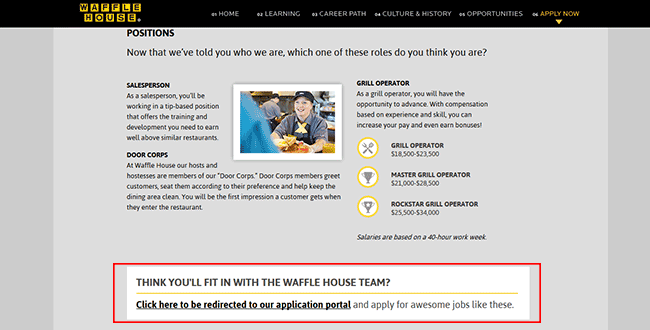 Both corporate and restaurant positions can be applied for on the jobs site. About the Company: Waffle House is an American chain restaurant with more than 2,000 locations throughout the United States. The majority of the company’s locations are located in the Southern United States. The company was founded in 1955 and is headquartered out of Norcross, Georgia. 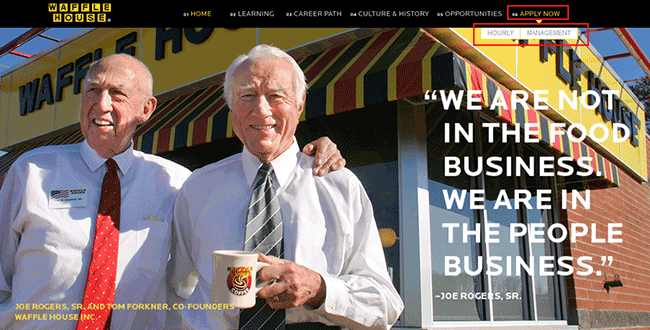 Step 1 – Go to the company’s jobs website (click here – this link opens in a new tab/window). 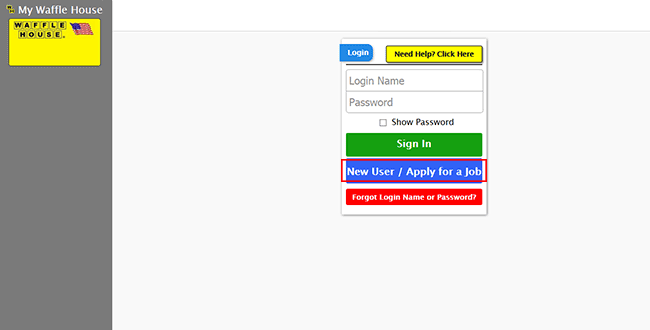 Step 2 – Hover over the “Apply Now” link and then select the type of positions you want to search for (e.g. “hourly” or “management”). Step 3 – Scroll down the page to learn more about the type of position you’re interested in. Click the link as outlined in the screenshot to be taken to the application portal. Step 4 – Click the “New User” button. Step 5 – Enter your email address or phone number into the input field and then click the “Send Code” button. Step 6 – Enter the access code and then click the “Verify” button. Are you an active employee of the company? 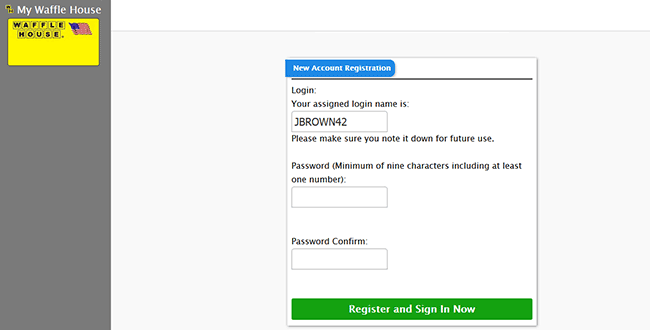 Step 8 – Create a password and then click the “Register” button. Step 9 – Enter your social security number into the input fields and then click the “Start” button to begin the online application process. After your identity has been confirmed you will be able to search for current openings and apply for them.